Who am I? I'm a Yuman being hailing from Yuma, Arizona, a "Yuma Criminal" (my high school mascot - yes it's true! ), and a graduate of Northern Arizona University. I guess you could say I am a "tride and true" Arizonan. I am a Trial Consultant and Paralegal Supervisor in Phoenix by day, and a genealogist by night (and weekends, of course!). I've been a Family History Consultant for about five years now with the Phoenix Family History Library (formerly the Ashland Branch LDS Family History Library). In July of 2010 I became the Newsletter Editor for the News Leaf, a publication of the Phoenix Family History Library. (Luckily I have some experience in this department, having spent four years serving as Newsletter Chair of the Arizona Paralegal Association). My paralegal research skills have come in handy in my genealogy research, and vice versa. Yes, I have even searched genealogy databases to find the living. I also train on various software programs in my "real" job, and I really enjoyed training my fellow Family History Consultants recently on Advanced Google Research. I also enjoyed speaking at the January 2011 Arizona Family History Expo as well. I love training and helping others, and look forward to doing more. 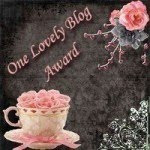 Jirene's Genealogy Tips is a place where I share genealogy research tid bits I find along the way. 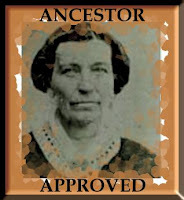 Jirene's Genealogy Treasures is a place where I am preserving our family histories and genealogies. I have lots to add for both, so if I could make one request to God: please give me more hours in a day!